His first film was called Xenogenesis (1978). . 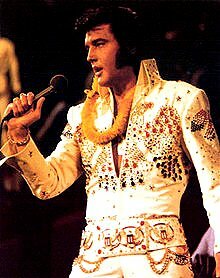 He then became a production assistant on a film called Rock and Roll High School, though uncredited in 1979. While continuing to educate himself in film-making techniques, Cameron started working as a miniature-model maker at Roger Corman Studios.Making rapidly-produced, low-budget productions taught Cameron to work efficiently and effectively. He soon found employment as an art director in the sci-fi movie Battle Beyond the Stars (1980). He did special effects work design and direction on John Carpenter’s Escape from New York (1981), acted as production designer on Galaxy of Terror (1981), and consulted on the design of Android (1982). Cameron was hired as the special effects director for the sequel to Piranha, entitled Piranha II: The Spawning in 1981. The original director, Miller Drake, left the project due to creative differences with producer Ovidio Assonitis, who then gave Cameron his first job as overall director. The interior scenes were filmed in Italy while the underwater sequences were shot at Grand Cayman Island. The movie was to be produced in Jamaica. On location, production slowed due to numerous problems and adverse weather. James Cameron was fired after failing to get a close up of Carole Davis in her opening scene. Ovidio ordered Cameron to do the close-up the next day before he started on that day’s shooting. Cameron spent the entire day sailing around the resort to reproduce the lighting but still failed to get the close-up. After he was fired, Ovidio invited Cameron to stay on location and assist in the shooting. Once in Rome, Ovidio took over the editing when Cameron was stricken with food poisoning. During his illness, he had a nightmare about an invincible robot hitman sent from the future to kill him, giving him the idea for The Terminator, which later catapulted his film career. After completing a screenplay for The Terminator, Cameron decided to sell it so that he could direct the movie. However, the production companies he contacted, while expressing interest in the project, were unwilling to let a largely inexperienced feature film director make the movie. Finally, Cameron found a company called Hemdale Pictures, which was willing to let him direct. Gale Anne Hurd, who had started her own production company, Pacific Western Productions, had previously worked with Cameron in Roger Corman’s company and agreed to buy Cameron’s screenplay for one dollar, on the condition that Cameron direct the film. Hurd was signed on as producer, and Cameron finally got his first break as director. Orion Pictures distributed the film. For the role of the Terminator, Cameron envisioned a man who was not exceptionally muscular, who could “blend into” a crowd. Lance Henriksen, who had starred in Piranha II: The Spawning, was considered for the title role, but when Arnold Schwarzenegger and Cameron first met over lunch to discuss Schwarzenegger playing the role of Kyle Reese, both came to the conclusion that the cyborgvillain would be the more compelling role for the Austrian bodybuilder; Henriksen got the smaller part of LAPD detective Hal Vukovich and the role of Kyle Reese went to Michael Biehn. In addition, Linda Hamilton first appeared in this film in her iconic role of Sarah Connor, and later married Cameron.The Terminator was a box office hit, breaking expectations by Orion Pictures executives that the film would be regarded as no more than a sci-fi film, and only last a week in theaters. It was a low-budget film which cost $6.5 million to make, cutting expenses in such ways as recording the audio track in mono. However, The Terminator eventually earned over $78 million worldwide. During the early 1980s, Cameron wrote three screenplays simultaneously: The Terminator, Aliens, and the first draft of Rambo: First Blood Part II. While Cameron continued with The Terminator and Aliens, Sylvester Stallone eventually took over the script of Rambo: First Blood Part II, creating a final draft which differed radically from Cameron’s initial vision. He next began the sequel to Alien, the 1979 film by Ridley Scott. Cameron named the sequelAliens, and again cast Sigourney Weaver in the iconic role of Ellen Ripley. According to Cameron, the crew on Aliens was hostile to him, regarding him as a poor substitute for Ridley Scott. Cameron sought to show them The Terminator but the majority of the crew refused to watch it and remained skeptical of his direction throughout production. Despite this and other off-screen problems (such as clashing with an uncooperative camera man and having to replace one of the lead actors – Michael Biehn of Terminator took James Remar’s place as Corporal Hicks), Aliens became a box office success. It received Academy Award nominations for Best Actress in a Leading Role for Weaver, Best Art Direction, Best Film Editing, Best Original Score, Best Sound, and won awards for Best Sound Effects Editing and Best Visual Effects. In addition, the film and its lead actress made the cover ofTIME magazine as a result of its numerous and extensive scenes of women in combat – these were almost without precedent and expressed the feminist theme of the film very strongly. Cameron’s next project stemmed from an idea that had come up during a high school biology class. 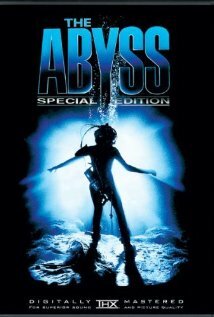 The story of oil-rig workers who discover otherworldly underwater creatures became the basis of Cameron’s screenplay for The Abyss, which cast Ed Harris, Mary Elizabeth Mastrantonio and Michael Biehn. Initially budgeted at $41 million U.S. (though the production ran considerably over budget), it was considered to be one of the most expensive films of its time, and required cutting-edge effects technology. Because much of the film takes place underwater and the technology wasn’t advanced enough to digitally create an underwater environment, Cameron chose to shoot much of the movie “reel-for-real”, at depths of up to 40 feet (12 m). For creation of the sets, the containment building of an unfinished nuclear power plant was converted, and two huge tanks were used The main tank was filled with 7,500,000 US gallons (28,000,000 L) of water, and the second with 2,500,000 US gallons (9,500,000 L). The cast and crew resided there for much of the shooting. After the success of The Terminator, there had always been talks about a sequel to continue the story of Sarah Connor and her struggle against machines from the future. Although Cameron had come up with a core idea for the sequel, and Schwarzenegger expressed interest in continuing the story, there were still problems regarding who had the rights to the story, as well as the logistics of the special effects needed to make the sequel. Finally, in late-1980s, Mario Kassar of Carolco Pictures secured the rights to the sequel, allowing Cameron to greenlight production of the film, now called Terminator 2: Judgment Day.For the film, Linda Hamilton reprised her iconic role of Sarah Connor.In addition, Schwarzenegger also returned in his role as The Terminator, but this time as a protector. Unlike Schwarzenegger’s character—the T-800 Terminator which is made of a metal endoskeleton—the new villain of the sequel, called the T-1000, is a more-advanced Terminator made of liquid metal, and with polymorphic abilities. The T-1000 would also be much less bulky than the T-800. For the role, Cameron cast Robert Patrick, a sharp contrast to Schwarzenegger. Cameron explained, “I wanted someone who was extremely fast and agile. If the T-800 is a human Panzer tank, then the T-1000 is a Porsche.”Cameron had originally wanted to incorporate this advanced-model Terminator into the first film, but the special effects at the time were not advanced enough. The ground-breaking effects used in The Abyss to digitally depict the water tentacle convinced Cameron that his liquid metal villain was now possible. TriStar Pictures agreed to distribute the film, but under a locked release date only about one year after the start of shooting. The movie, co-written by Cameron and his longtime friend, William Wisher, Jr., had to go from screenplay to finished film in just that amount of time. Like Cameron’s previous film, it was one of the most expensive films of its era, with a budget of about $100 million. The biggest challenge of the movie was the special effects used in creating the T-1000. Nevertheless, the film was finished on time, and released to theaters on July 3, 1991.Terminator 2, or T2, as it was abbreviated, broke box-office records (including the opening weekend record for an R-rated film), earning over $200 million in the United States and Canada, and over $300 million in other territories, and became the highest-grossing film of that year. It won four Academy Awards: Best Makeup, Best Sound, Best Sound Effects Editing, and Best Visual Effects. It was also nominated for Best Cinematography and Best Film Editing, but lost both Awards to JFK.James Cameron announced a third Terminator film many times during the 1990s, but without coming out with any finished scripts. Kassar and Vajna purchased the rights to the Terminator franchise from a bankruptcy sale of Carolco’s assets. Terminator 3: Rise of the Machines was eventually made and released in July 2003 without Cameron’s involvement. Jonathan Mostow directed the film and Schwarzenegger returned as the Terminator.Cameron reunited with the main cast of Terminator 2 to film T2 3-D: Battle Across Time, an attraction at Universal Studios Florida, Universal Studios Hollywood and Universal Studios Japan. 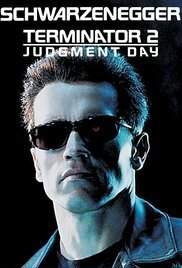 It was released in 1996 and was a mini-sequel to Terminator 2: Judgment Day. The show is in two parts: a prequel segment in which a spokesperson talks about Cyberdyne, and a main feature, in which the performers interact with a 3-D movie. Cameron expressed interest in the famous sinking of the ship RMS Titanic. He decided to script and film his next project based on this event. The picture revolved around a fictional romance story between two young lovers from different social classes who meet on board. Before production began, he took dives to the bottom of the Atlantic and shot actual footage of the ship underwater, which he inserted into the final film. Much of the film’s dialogue was also written during these dives.Subsequently, Cameron cast Leonardo DiCaprio, Kate Winslet, Billy Zane, Kathy Bates, Frances Fisher, Gloria Stuart, Bernard Hill,Jonathan Hyde, Victor Garber, Danny Nucci, David Warner, Suzy Amis, and Bill Paxton as the film’s principal cast. Cameron’s budget for the film reached about $200 million, making it the most expensive movie ever made at the time. Before its release, the film was widely ridiculed for its expense and protracted production schedule. But went on to gross more than $1 billion worldwide. 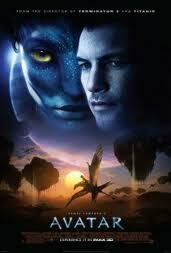 It remained the highest-grossing film since 1998, until Cameron’s 2009 film Avatar surpassed its gross in 2010. The CG visuals surrounding the sinking and destruction of the ship were considered spectacular. 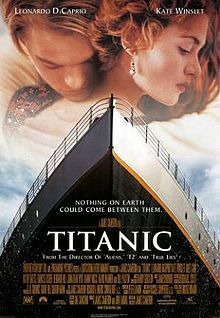 Despite criticism during production of the film, it received a record-tying 14 Oscar nominations (tied with All About Eve) at the 1998 Academy Awards. It won 11 Oscars (also tying the record for most Oscar wins with Ben-Hur and later The Lord of the Rings: The Return of the King), including: Best Picture,Best Director, Best Art Direction, Best Cinematography, Best Visual Effects, Best Film Editing, Best Costume Design, Best Sound, Best Sound Effects Editing, Best Original Dramatic Score, Best Original Song. Upon receiving the Best Director Oscar, Cameron exclaimed, “I’m king of the world!”, in reference to one of the main characters’ lines from the film. After receiving the Best Picture Oscar along withJon Landau, Cameron asked for a moment of silence for the 1500 men, women and children, who died when the ship sank.In March 2010, Cameron revealed that Titanic was re-released in 3D in April 2012, to commemorate the 100th anniversary of the sinking of the real ship. Cameron also planned to do a film of the comic book character Spider-Man,however he was Unable to make Spider-Man, so he moved to television and created Dark Angel, a superheroine-centered series influenced bycyberpunk, biopunk, contemporary superhero franchises, and third-wave feminism. Co-produced with Charles H. Eglee, Dark Angel starred Jessica Alba as Max Guevara, a genetically enhanced super-soldier created by a secretive organization. Cameron’s work was said to “bring empowered female warriors back to television screens by mixing the sober feminism of his The Terminator and Aliens characters with the sexed-up Girl Power of a Britney Spears concert.” sadly low ratings in the second led to its cancellation. Cameron himself directed the series finale, a two-hour episode wrapping up many of the series’ loose ends. Madonna has sold more than 300 million records worldwide and is recognized as the best-selling female recording artist of all time by Guinness World Records. Time considered her to be one of the “25 Most Powerful Women of the Past Century” for being an influential figure in contemporary music. Madonna is the best-selling female rock artist of the 20th century and the second best selling female artist in the United States, with 64.5 millioncertified albums. Considered by Forbes and other publications as a cultural icon, she is often referred by the international press as the “Queen of Pop”. In 2008, Billboard ranked her at number two, behind only The Beatles, on the Billboard Hot 100 All-Time Top Artists, making her the most successful solo artist in the history of the chart. She was also inducted into the Rock and Roll Hall of Fame in the same year. In 2012, she was crowned the “Greatest Woman In Music” by VH1. As of 2013, some sources report that Madonna’s net worth has crossed over one billion dollars. I would like to read Dead Pretty by David Mark. It is The fifth novel in the DS McAvoy series by bestselling author David Mark, it is described as perfect for fans of Val McDermid and Peter Robinson. The novel is set in Hull and features detective DS Aector McAvoy and his superior DS Trish Pharoah. Aector is steadfastly searching for a missing girl named Hannah Kelly who has been missing for nine months. Then DC Helen Bremberg discovers another girl named Ava Delaney is found brutally murdered in a disused property on a Council Estate, in what looks like the victim of a vigilante attack. Bremberg who has recently returns from maternity leave, and is currently working as an unwilling secondee to the Drug Squad under her nemesis, DI Shaz Archer. However, her discovery soon draws her back within the domain of her former colleagues. Meanwhile The Police Station is facing numerous problems including limited finances, scarce resources and an increasing workload. This increases the despondency and disillusionment which prevail among the rank and file officers whose humour gets increasingly darker as they try to keep morale up, while they try to solve the case of Hannah Kelly’s disappearance before she shares the same grisly fate as Ava Delaney. The Railway Children was also adapted into 1970 British drama film based on the novel by E. Nesbit. The film was directed by Lionel Jeffries, and stars Dinah Sheridan, Jenny Agutter (who had earlier featured in the successful BBC’s 1968 dramatisation of the novel), Sally Thomsett and Bernard Cribbins in leading roles. The film was released to cinemas in the United Kingdom on 21 December 1970.The film rights were bought by Lionel Jeffries. It was his directorial debut, and he was also responsible for writing the screenplay for the film. The Railway Children turned out to be a critical success, both at the time of its release and in later years. It has gone on to gain a place in several surveys of the greatest films ever made, including surveys conducted by the British Film Institute and Total Film magazine. Nesbitt also wrote The Wouldbegoods (1899), which recount stories about the Bastables, a middle class family that has fallen on relatively hard times. The Railway Children is also extremely well known. Her children’s writing also included numerous plays and collections of verse.She created an innovative body of work that combined realistic, contemporary children in real-world settings with magical objects – what would now be classed as contemporary fantasy – and adventures and sometimes travel to fantastic worlds. In doing so, she was a direct or indirect influence on many subsequent writers, including P. L. Travers (author of Mary Poppins), Edward Eager, Diana Wynne Jones and J. K. Rowling. C. S. Lewis wrote of her influence on his Narnia series and mentions the Bastable children in The Magician’s Nephew. Michael Moorcock would go on to write a series of steampunk novels with an adult Oswald Bastable (of The Treasure Seekers) as the lead character .Nesbit also wrote for adults, including eleven novels, short stories and four collections of horror stories. Nesbit sadly passed away on 4 May 1924, but has left a long lasting legacy in the form of some great novels and Poems.